The next event on the local horizon is Drums at the Rapids set for 17-18MAY19 at historic Fort Meigs in Perrysburg Ohio. This two-day event is held in the interpretive center and includes access to the fort itself. Hosted by the good folks of HMGS, Great Lakes in conjunction with the fort staff. This is a convention that events have conspired to prevent me from attending up until now. This year I plan on being there both days. It looks like jolly fun and I have a desire to view the fort as well. Hey!! Look!! Even MORE gaming dates!!!!!! Schedule is currently open so if there is something you want to play just drop it in the Comments section or call me. 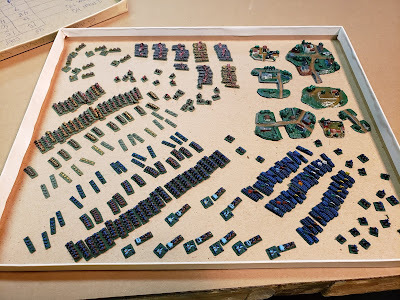 As I stumble around on the internet I occasionally find some Really Cool Stuff, I think that this falls into that category Anyscale Models makes an astounding array of goodies at very reasonable prices. Railway scenics (terrain goodies to us wargamers), weapons and vehicles are all covered. They make most products in 15mm, 20mm and 28mm. Well worth a look for any post WW1 gamer. 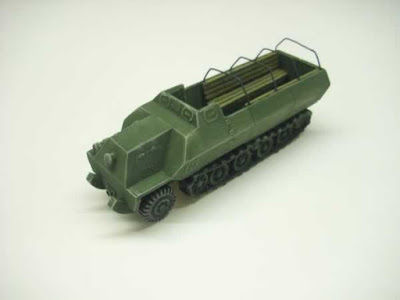 WW2 Japanese halftrack at a reasonable price? 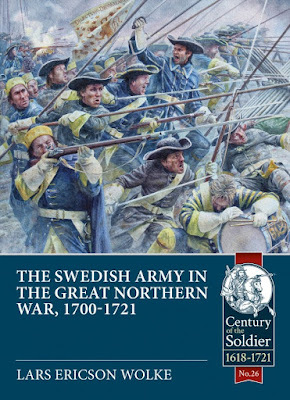 Returning to the group of books that I got at Christmas time I will look at Helion's The Swedish Army In The Great Northern War 1700-21 by Lars Ericson Wolke. I have long been interested in this conflict, it is a demonstration of how, through training, discipline and willpower, a tiny nation can impose (for a while) its policies upon its neighbors. 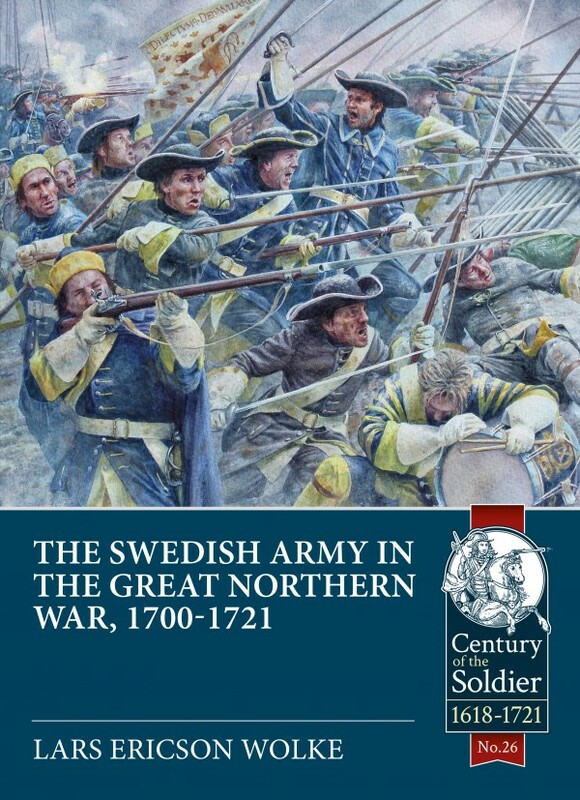 The tool that allowed the Swedish monarchs to do just that was the Swedish Army. In just over 100 pages this book provides the reader with an insight into the inner workings of that army. If I had to recommend just one book one this subject this would be my choice, it certainly provides a wargamer with everything they would need to hit the ground running. I have decided to work my way through my collection starting with the smallest scales and moving larger. This is largely due to the realization that my eyes are not clear enough, and my hands are not steady enough, to deal with micro-scale minis any more. Thus all of my "half-done" projects are stuck in a state of stasis. As this violates the first three rules; "rational", "attainable" and "desirable" the tiny figures are at the head of the parade out of The Vault. I intend to offer them around to my wargaming buddies first, then either put them on Ebay at fire-sale prices or find somebody who is new to the hobby and pass them along as a starter set. I try to stick to matters relating to The Hobby on this blog so I don't often do posts regarding myself; but I suspect that there are a few other fellows out there in a similar position as I am so please allow me this moment of introspection. I have for some years sat myself down at the end of each quarter and looked back over the previous three months to review my progress (or otherwise) toward achieving my goals. I also use this opportunity to review my goals (are they still rational/attainable/desirable/affordable) and set forth my aims for the coming months. Frankly, the first quarter of this year has been a bit of a disaster. I got off to a roaring start and then burned out like a meteorite entering the atmosphere. Not to be seen as unfair Strelets matches the recent Union 30lbr Parrot rifle with an opposite number; the Confederate 12lb Whitworth. Again I find myself applauding the choice of a cannon aside from the ubiquitous 12lb Napoleon. The Confederacy imported many examples of Whitworth rifle during the war. It was one of the few breach-loading cannon used by either side and was greatly favored for counter-battery fire due to its almost uncanny accuracy. The model is cast in pale gray plastic that takes detail well. The crew is mostly depicted in shirt-sleeves order (a more common sight given the heat of the campaigning season in the South). They are wearing kepis and could be swapped back and forth with the Union gun crew to provide even more variety. The kit provides three guns and twenty-one crewmen, all of whom are in effective, active poses. 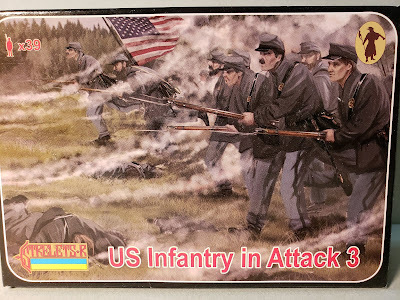 Strelets continues its march to dominate the 20mm ACW space with yet another excellent set of superbly useful figures. 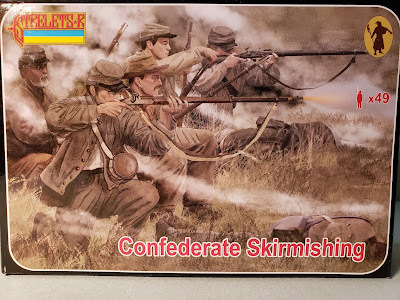 Both the dioramist and the wargamer will enjoy this set of Confederate Infantry Skirmishing. 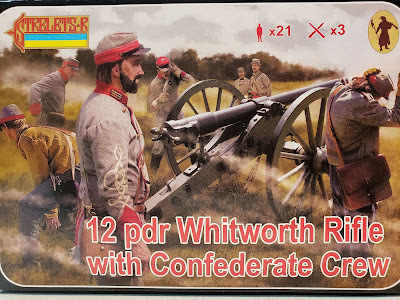 These figures can be mixed with the other Strelets Confederate sets to produce a scene or unit that has no repeated figures; they can also be mixed with Union figures as there was a great deal of similarity in the uniforms. The sculpting has many dynamic poses, the figures are all realistically proportioned and are equipped in light order (no backpacks/bedrolls). 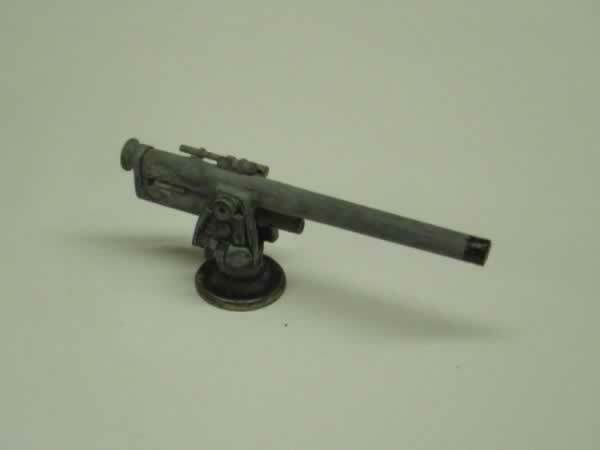 The miniatures are cleanly cast in a light gray plastic that is reasonably stiff and which holds detail very well. 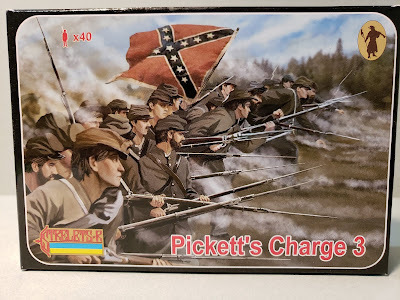 Completing the Pickett's Charge trifecta is this set of miniatures. Again Strelets has done the unnecessary, but vastly appreciated, favor of sculpting and casting yet another set of charging Rebels. These well-detailed and very active miniatures are cast in the now-familiar light gray plastic and display a high level of detail. Mixing these with the previous two sets will enable the modeler to recreate the chaotic last moments of Pickett's famous charge. Strelets has offered an excellent set of Union Infantry, these are in firing poses. All are in good active poses, some are very convincingly leaning into the recoil. These figures are cast in a stiff, bright blue plastic that takes detail very well. The figures display very little flash and are deeply sculpted which will make painting a breeze. The variety of the positions will allow the modeller or gamer to create a very realistic firing line; some men loading others taking aim as still more deliver fire. I can see these fellows lining a stone wall at the top of a hill waiting for the previous three boxes of Pickett's charge to come storming uphill at them. Taking a break from the flood-tide of infantry releases Strelets has paused to provide the Union with some artillery. I applaud the choice of subject as well, instead of another model of the 12lbr Napoleon (which is already widely available from other manufacturers) they have chosen to model a 30lbr Parrot rifle. 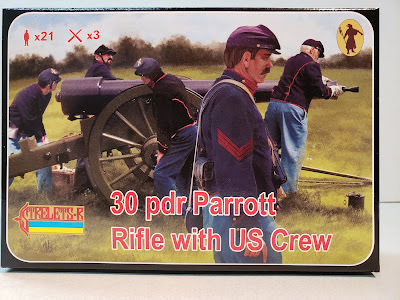 Cast in the now-familiar bright blue plastic this kit provides three model guns with a seven man crew. Strelets-R continues to flood the 20mm plastic market with new American Civil war minatures. This current subject is the third edition of Union Troops at the charge. 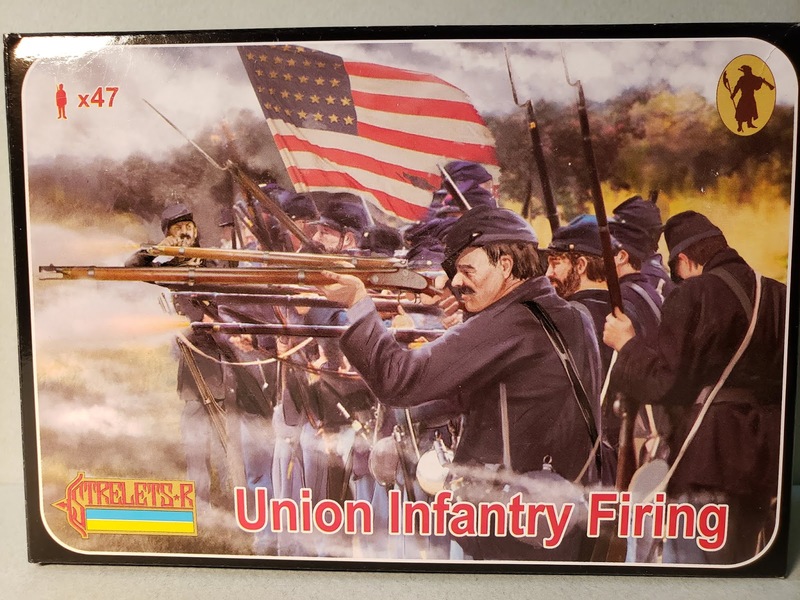 The Confederates hold the prize for the most famous futile charge with Pickett's Charge, but the Union was known to have tried the idea a time or two (Fredericksburg, Cold Harbor, The Crater). On a smaller scale both sides often tried to advance to decide the issue with the bayonet. 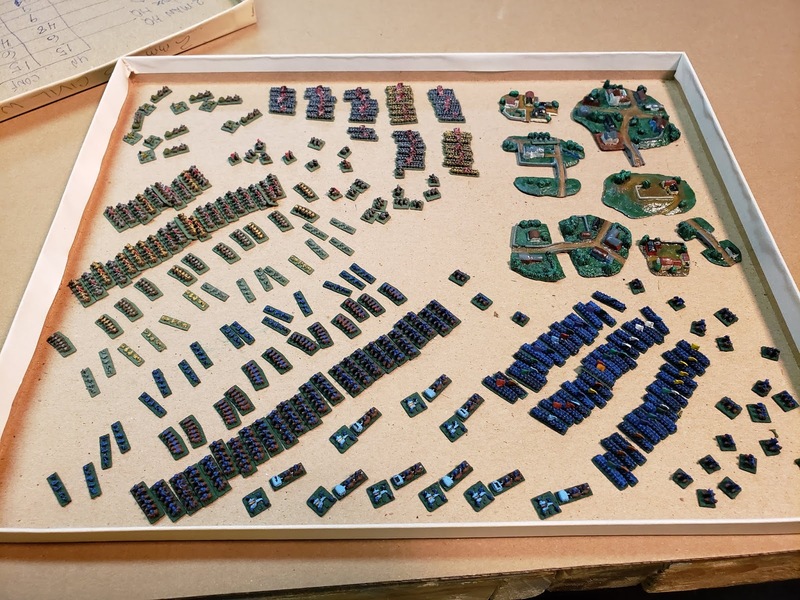 Strelets provides us with 36 figures molded in bright blue plastic (plus three Muscovite infantry). The miniatures are cleanly cast in a stiff, but flexible, plastic that shows detail very well. The figures are well-sculpted and proportioned and depict men charging energetically toward the enemy. All of the figures (except for the three Muscovites with halberds) are depicted wearing the knee-length coat and kepis with light equipment. All are in useful poses and will mix readily with the previous two sets to proved the modeller or gamer with a very good variety of positions.